A school has been forced to apologise to parents after dozens of Muslim school children were served up ice-cream containing pork. The mix-up was only flagged up after some children at the school had already eaten the ice cream. Instead of the usually Halal-friendly dessert, the school were sent ice-cream laced with pork gelatine by a supplier. 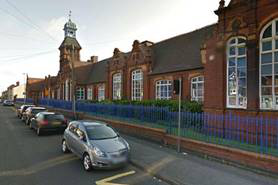 The issue was raised at Lodge Primary School in Birmingham - but is understood to have affected a number of schools across the city. A letter has now been sent to parents apologising for what happened. 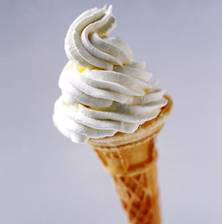 The mistake was only noticed after some pupils at the school, which has a large Muslim intake, had eaten the ice-cream. The dessert was a new addition to the school’s menu, which was introduced last week. Head teacher Lisa Gillam said the mistake was ‘unacceptable’ after being provided with the ice-cream by SIPS Education. She said the supplier had sent the wrong product and she would be making a formal complaint as eating pork is forbidden as part of Islamic tradition. The Oak Lane School has 430 pupils, with around 30 per cent of Bangladeshi origin. Ms Gillam, in a letter sent out on Friday, said: “I am writing to apologise as today at lunchtime some of the children unfortunately consumed some ice-cream, which contained pork gelatine. “New menus were sent out this week and the ice-cream was a new item. “We have spoken to SIPS, who are in charge of the menus that the school are allocated, and they’ve informed us the supplier sent the wrong product in error. “I understand this is not an acceptable reason as we do not serve any products to children that contain products such as gelatin and SIPS is aware of this as the majority of our children have vegetarian food. Danger to ones Imaan lurks in the most “innocent” of products and places and ice cream is so quintessential of this. Loved by children and adults alike without vigilance its consumption can bring pleasure or harm to your spirituality. SANHA has over the years highlighted the hazards of contamination and dubious standards of certification. Be steadfast in faith and consume that which is Halaal.